Saturday we went on a jolly to Pick Me Up, the graphic arts fair, at Somerset House. Now in its fifth year at the embankment galleries, the fair showcases work by illustrators, graphic artists and collectives. As always there was lots of beautiful and interesting work to spend some pocket money on. My favourite artists from the downstairs exhibition Pick Me Up Selects (16 artists selected by a panel) were Thibaud Herem's very detailed drawings of buildings including one of St Pancreas station and Andrew Groves' hand carved wooden spoons. 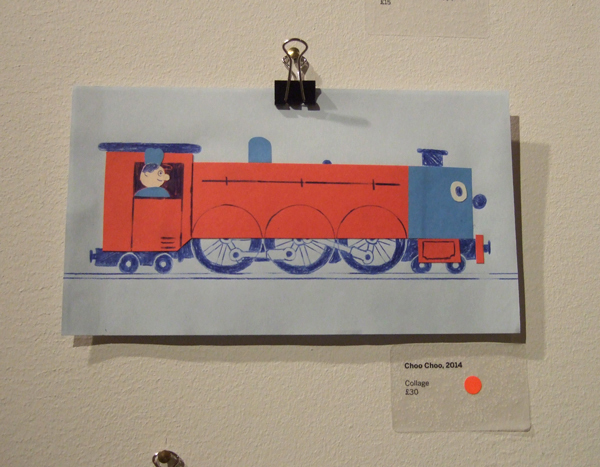 Edward Cheverton collage called Choo Choo. Two other illustrators, whose work I already loved, Julia Pott and Isabel Greenberg were also exhibiting in Pick Me Up Selects. 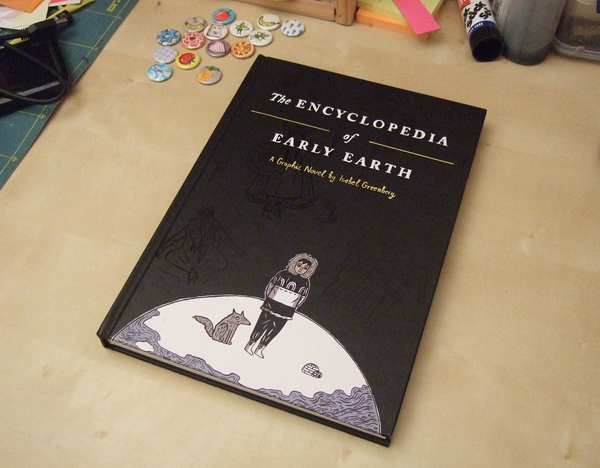 I think Isabel Greenberg's comics are fab and I am currently midway through her book The Encyclopedia of Early Earth and I ended up buying her comic The Snow Queen too. Upstairs at the fair, it was work by Skull Paradise and the returning Puck Collective which caught my eye. We also overheard a little bit of the talk by the creators of Rastamouse. They were teaching the audience how to speak like an inhabitant of Mouseland. Wagwan! It was a bit of an odd experience leaving the Fair, as outside there seemed to be some sort of protest - a never ending line of women reverends walking past the galleries. At the time we did comment that it was the quietest and well mannered protest we had ever seen; we later found out it was a celebration of 20 years of women priests.